South Africa is experiencing spectacular growth in tourist arrivals, and all indications are that 2016 will be a bumper year for tourism in the country, according to the tourism minister. 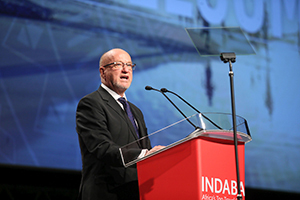 Tourism in South Africa, and in Africa, was on the brink of a new success story, said Tourism Minister Derek Hanekom, in his opening address at the annual Tourism Indaba in Durban. As always, the Indaba was held at the Inkosi Albert Luthuli Convention Centre. 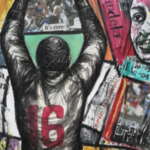 It ran from 7 to 9 May, and this year it featured exhibits from 18 African countries. The United Nations World Tourism Organization estimated that international tourist arrivals would grow by 4% this year. Tourist arrivals in Africa were expected to reach 130 million by 2030 – more than double the current 50 million arrivals. Investment in tourism across Africa was making the industry a key economic driver as emerging economies shifted away from a reliance on commodities towards innovation and the services sector, the minister said. South Africa was investing in its key sites and training people to enhance the visitor experience. In addition, it had started fitting selected attractions with solar energy to reduce their reliance on the national grid and to lower their operational costs. 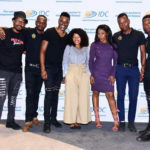 The Industrial Development Corporation was in attendance at the Indaba, as tourism is a growth and investment area for it. It works in the sector through its Tourism strategic business unit. The Corporation’s focus is on developing high-impact sustainable tourist attractions and diversified product offerings in South Africa to stimulate new demand, as well as on establishing world-class business hotels in fast growing nodes in South Africa and the rest of Africa. “As we build our destination, we are also adjusting our marketing efforts to keep pace with global trends,” Hanekom said. In addition, many African countries were addressing their visa policies, infrastructure, health and hygiene standards, and the protection of their natural resources. “Mobile bookings are on the rise in Africa. About 15% of room nights are now booked on a mobile phone. This allows product owners to attract many more customers at a far lower cost. Hanekom pointed out that if one quarter of African countries were to implement the Open Skies for Africa decision and facilitate greater air access between African countries, an additional 155 000 jobs and $1.3-billion (R19.3-billion) in gross domestic product could be generated. For the first time, this year the Indaba showcased services from 70 promising small travel businesses, in the Hidden Gems Zone. Tourism Deputy Minister Thokozile Xasa said the increased participation by smaller companies had made this year’s Tourism Indaba better than previous ones. “We have small and medium enterprises exhibiting and have arranged meetings with buyers internationally and from Africa.” They were also able to workshops on how to access the market, and grow. Of the 70, 20 focused on adventure holiday experiences, a growing niche in the tourism industry. With new discoveries of minerals and natural resources on the continent, there has been increased investment activity, resulting in higher levels of business travel, with most mining companies booking long-term hotel accommodation for their staff. With this in mind, the IDC is aligning its tourism portfolio with investments in sectors such as mining. The tourism sector has been identified as a key space for job creation and poverty alleviation, and South Africa’s wealth of wonderful tourism assets – the landscape and biodiversity, wildlife, people and cultural heritage – have the potential to drive growth in the sector. In highlighting the Corporation’s focus on the sector, Economic Development Minister Ebrahim Patel pointed out that it invested heavily to support African growth, seeding the ground that could provide for development and future growth. Speaking in September 2015, at the release of the corporation’s annual results, he said that in the past year, the IDC had approved investments of R1,8-billion in 10 other African countries. Many of these investments were “in basic infrastructure, tourism and mining”. In South Africa, the IDC was instrumental in the building of Park Inn in Newlands, Cape Town. Built with funding from corporation IDC, and part-owned and operated by the deaf community, the hotel has raised the bar internationally for responsible tourism and innovative development financing. Fully one-third of the hotel’s staff members are deaf, and there are full-time sign language interpreters on hand for guests. At the same time, the three-star hotel has been designed and built to cater for the needs of all disabled people, including those who are hearing impaired, blind or in wheelchairs. It is a landmark project specially designed to meet the travel requirements of the disabled community – and was realised on the back of major funding from the Corporation. And, as part of its 75th anniversary celebrations in 2015, Guma Tourism Holdings was one of 12 long-standing clients it honoured. The 12 represented some of the many champions of South African industry that have their roots with the Corporation. Guma Tourism Holdings, funded by the IDC, is a 51% black shareholder in Tourvest Holdings, South Africa’s largest and most successful tourism group, with operations extending across the African continent.